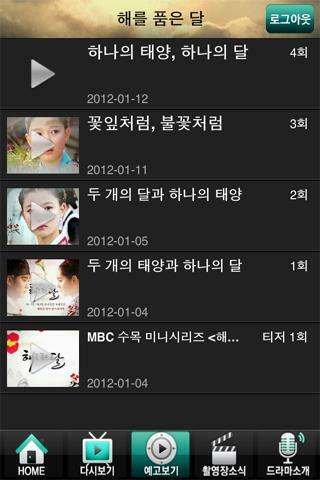 The official Android app for ultra-popular MBC Wednesday and Thursday drama series The Moon that Embraces the Sun (The Sun and the Moon) has been released. The app allows user to view behind the scene photos and videos from the set, and even watch the drama itself from within the app as live streaming, with free viewing of last 2 newest episodes as VOD. On Air: real time high definition (HD) broadcasts are available. Replay: watch the replay of last 2 newest episodes for free. Preview Notice (free): watch the preview of the drama in advance. News from the Set: Watch the hottest news, photos and videos live from the scene. Introduction to Drama: Project planning, description of characters that appear in the drama and characters relationship are introduced. The application is available as one-year service and is now available for free download from Android Market. 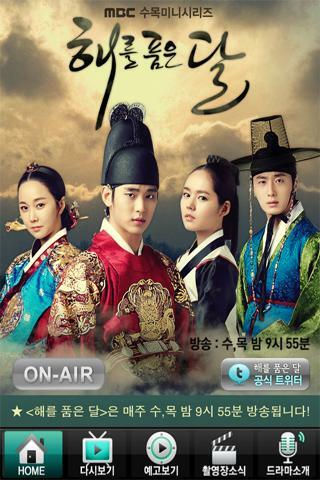 An iOS version of The Moon that Embraces the Sun is available soon.